Today on Orthodontist London we will be looking at a precision method of creating a beautiful smile another big brand orthodotic appliance. Like finger prints and snowflakes, your smile is totally unique. There is not another like it in the whole world. Provided the option, wouldn’t you prefer that the orthodontic appliances utilized to make your new smile be tailored specifically to your body structure? Today they can be with a wonderful breakthrough in orthodontic treatment… Insignia. Nothing like standard orthodontic appliances produced to treat a wide variety of patients, Insignia braces are designed especially for you. Insignia makes use of 3-D imaging and precision manufacturing to determine, within fractions of a millimeter, the best remedy to straighten your teeth and improve your smile. 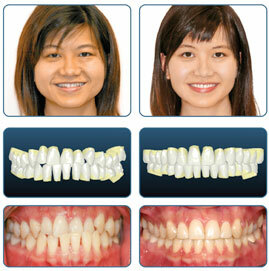 This means greater comfort, shorter treatment time and a radiant smile that reflects your personality. A unique smile just for you. Discover all about the orthodontic treatments, brands and the 20 essential questions you should ask your London orthodontist before you invest in a beautiful smile. Visit Orthodontist London now for your FREE guide. Here is a cool video of someone getting Insignia lingual braces (time lapse).